Overall, this is a really good cereal. The flavor does not scream Chocolate Peanut Butter. It's more of a case where it gently sings Peanut Butter and quietly whispers Chocolate. That's not a bad thing. It's a very satisfying flavor, but a far cry from the excitement of a Reese's Peanut Butter Cup. 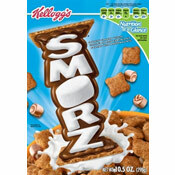 The flavors are more apparent when the cereal is eaten dry. They delude somewhat in milk. The oat flavor of original Cheerios is very apparent and gives you a reminder of how good that original cereal is. As with all forms of Cheerios, this cereal stays crisp in milk for 4 or 5 minutes before slowly softening. The milk at the end of a bowl of Chocolate Peanut Butter Cheerios is hardly worth mentioning. It takes on very little flavor or color from the cereal pieces. I wish this cereal had a little more chocolate and a hint more sweetness. But in the end, I enjoyed every bowl I tried. 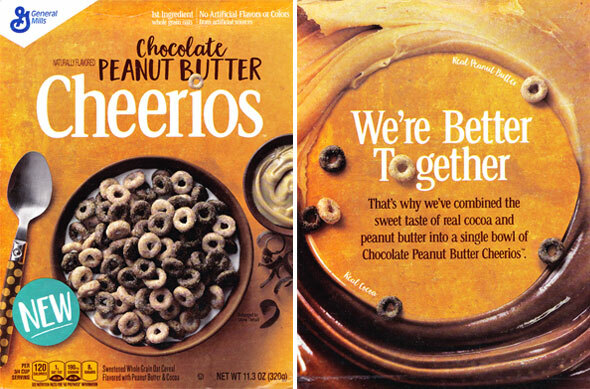 I like Chocolate Peanut Butter Cheerios better than many recent Cheerios offering like Very Berry Cheerios, Strawberry Cheerios and Cheerios Protein. But I still prefer the classic flavors of original Cheerios and Honey Nut Cheerios. Nutritional Concerns: Each 3/4 cup serving of Chocolate Peanut Butter Cheerios has 120 calories, 4 grams total fat (1 gram saturated and 0 grams trans), 0 mg cholesterol, 190 mg sodium, 21 grams total carbs, 2 grams dietary fiber, 8 grams sugar and 3 grams protein. The $0.00 price below indicates that the company sent a sample of this product to MrBreakfast.com for this review. 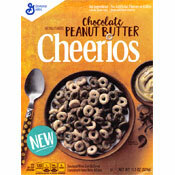 What do you think of Chocolate Peanut Butter Cheerios? Has a somewhat of a muted chocolate flavor but I don't really get any peanut butter. This one of the best PB cereals out there. It may be my favorite Cheerios flavor. It may even beat out Dulce de Leche Cheerios, my all time favorite! I like it. The only thing that makes it not a grand slam is the whole grain taste. I just don't like that taste. It's why I quit Reese's cereal.